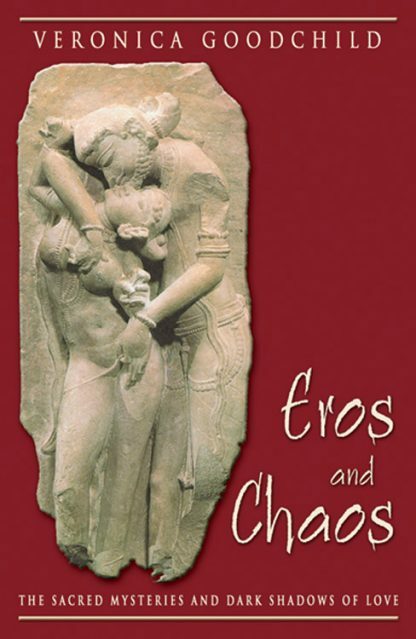 Red Wheel ∕ Weiser Online Bookstore | Eros and Chaos: The Sacred Mysteries and Dark Shadows of Love by Veronica Goodchild, Ph.D.
A provocative book that reminds us that our soul's primary longing is for love and then explores that longing. Goodchild explains that our most important task is the growth of our consciousness and that this cannot be accomplished apart from an awareness of the complexities of love and its shadows. It takes the us into that domain where eros' arrows thrust us into those shadowy depths where our keenest vulnerabilities and woundings--and our deepest imaginings and longings-are hidden.